One pleasant evening in the month of August while I was standing in front of a book shop on busy Mount Road, an American gentlemen came and asked for some books The man at the counter of the book shop was trying his best to speak and understand English; yet succeeded only partially. A little later the owner of the shop came and I told him what happened. He remarked casually why we should not make the tourists speak our language instead of ourselves trying to understand their language. I told him that he could do so, being a book seller, by publishing a book. He not only concurred with my suggestion but also to my surprise entrusted to me with the work of writing the book. A week after the conversation on 15th August – the day of Independence – we started the work. This, in short, is the story of this book. Millions of people are visiting Tamil Nadu every year as Tourists. They cannot engage a teacher or interpreter or to know the particular language of the region during or to know the particular language of the region during their short stay in India. A book of this type could help them. 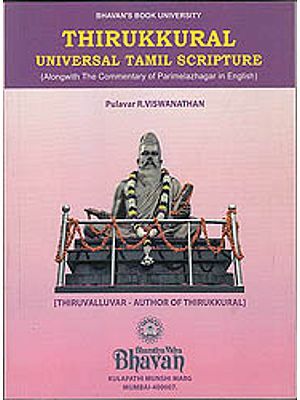 It is with this object of serving the needs of non-Tamil tourists that this book has been produced in learning the language easily. The book consists of Five Parts-each part having separate lesions. The fist part introduces the alphabet, vowels, consonants, and special letters. The second part deals with simple words with nouns, verbs, etc. the third part is the most important as it contains every word that a visitor to Tamilnadu should know. The fourth part is about sentences and conversations. The last part contains letters, eassys and new words, etc. as there are 247 letters, a new unorthodox method has been adopted. Easy steps are provided with Roman characters for pronunciation. For easy understanding, separate headings have been used. All letters, words and sentences have been given in the following order with Roman character below:- Fist the Tamil words, their pronunciation in Roman characters and their meaning in English at the bottom so that the reader can easily understand. This is the set-up of the book. There are 12 vowels and 18 consonants in Tamil; 4 consonants are peculiar to Tamil and of these the letter ‘zha’ may be considered to be the unique feature of Tamil language. Consonants are doubled-when two words are combined. The reader must be able to know important words and pick up conversation through simple words and sentences. This is the main objective; how far I have succeeded will have to be judged by the readers.